Looking for a cozy and warm atmosphere on Valentine’s Day? 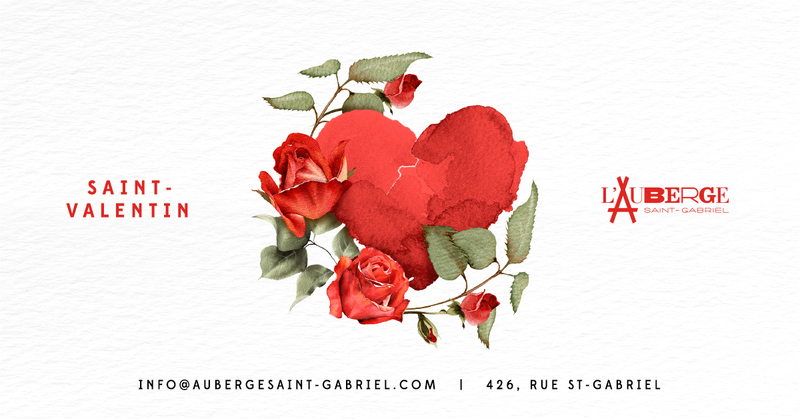 L’Auberge St-Gabriel is the place! Join us for this unique evening! With your lover, your friend or even your family, come celebrate with the ones you love! 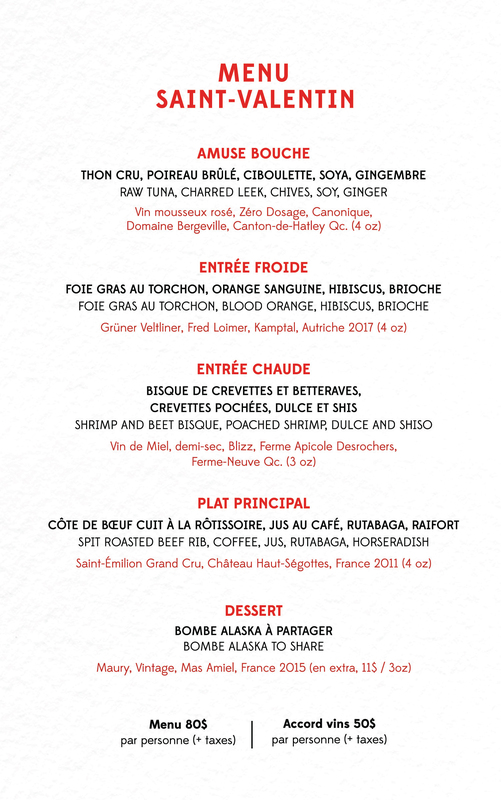 Our chef Ola Claesson has prepared a 5-course menu for you, available from February 14 to the 16th, that should please you and set the mood for the rest of your night! The regular menu is also available! L'Auberge sur la routeOur high-end catering service will delight your guests with mouth-watering menus. Velvet SpeakeasyOnce the sun goes down, experience Montreal’s trendiest nightclub.